Available from the publisher (see below), later from Internet companies, such as www.amazon.co.uk and www.amazon.com. 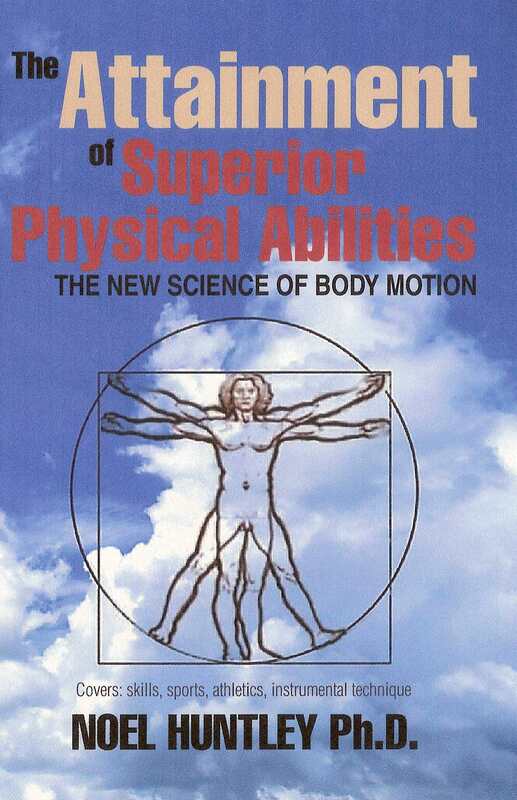 This revolutionary material not only gives the true scientific principles of body motion but presents new practice methods for skills, athletics, sports, instrumental technique, etc. The author after 30 years of research has discovered that physical mobility is due to two systems: 1) the muscular mechanism, and 2) an additional energy-field system around the joints (nature's computer system). Current physical education adequately handles (1) but does not readily develop the energy field, since a completely different form of exercise is required; encouraging the muscles to relax and bringing in the field system more. What kind of improvements are expected: decrease in effort; better coordination; increase in speed; less attention in maintaining tensions; increase in endurance, etc. The student will find that force (muscle strength) is not always the key to greater speed. Readers and students of this new science of physical training will be surprised to find that the mechanism of physical mobility is far more sophisticated than their education has taught them. Current science assumes that physical movements of the body/limbs of humans and animals are entirely governed by the central nervous system (and autonomic nervous system), in which nerve impulses are sent to the muscles, causing contraction and subsequent motion of the body parts. (a) Is there little sense of relaxation and a fair amount of effort? (b) Do the muscles feel stiff and do they ache after a short while? (c) Is the amplitude of the movements very small at the maximum speed or rate of repetition? (d) Is the rate of repetition less than the maximum for yourself (about 8 to 12 per second, depending on the individual)? If the answer is yes to any of these questions, then there is plenty of scope for improvements (note that there always will be no matter what the standard). . . . . . . How many repetitions can you do in, say, 15 seconds? This relates to a documentary on television in which an athlete was tested in this way prior to a physical endurance programme, involving cold water to deliberately induce hypothermia, then tested again after the end of this debilitating experience. We are only interested in the result the athlete achieved in his normal condition, that is, prior to the ordeal. The number of repetitions of the fingers, as a group (all the fingers together), up and down as in Figure 19(a) was less than 30 in 15 seconds. The author of this book then tried it and did 120 in 15 seconds (as per the book but is now 150). Try it. Obviously a pianist is going to be better but this is not the point. We are stating that if one set of muscles can do this, others can be trained likewise. Imagine moving all the antagonistic pairs in the whole body as well as that. This is what can be achieved and more. 'Nature' has provided man with a phenomenal body (and energy) system, involving sciences dwarfing our current medical/physiological/physics knowledge. Order from publisher: Xlibris Corporation, International Plaza II, Suite 340, Philadelphia, PA 19113, USA. Also available from www.amazon.com and www.amazon.co.uk and other Internet companies.